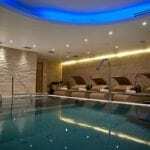 If you want the best then look no further than the Sofitel at London Heathrow Terminal 5, it is the last word in airport hotel luxury and convenience. Bright and modern with clean surroundings and fantastically warm and well informed staff, the generous rooms and suites are detailed with the finest touches. The hotel is located alongside terminal 5 with a walkway direct to the terminal. With 605 rooms and its own secure covered car park. You can easily connect straight to the M25, or take the Express train and be in London within 21 minutes. Sofitel Heathrow park and fly options include the covered multistory car park alongside the hotel, with easy valet parking drop off and collection when you return. 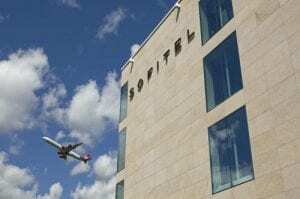 The Sofitel offers three restaurants including French fine dinning, causal Mediterranean and a relaxed bar. La Belle Epoque, the only 3 AA Rosette awarded restaurant in the Heathrow area offers French cuisine with a Asian twist. Expect the very finest French dining, with a chefs table and extensive wine list. You can enjoy champagne and cocktails here or the quiet of the club lounge. If time allows then relax in the fully equipped Spa with ESPA products and Wellness programs. 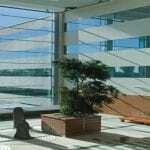 Wherever you are in the hotel enjoy a peacefulness that completely defies your proximity to the airport. With the Sofitel Heathrow Terminal Five connected directly to departures, access to your flight could not be easier. 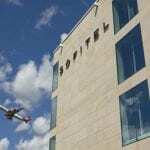 Accessible by either lifts or escalators departures gates are no more than a few minutes from the hotel making both departure and return a breeze..
Sofitel sets the bar for airport luxury, with the Sofitel Heathrow terminal 5 a flagship in its collection. Highly recommended and a firm favourite with our customers.